The Boov are hive-minded beings. The Boov are hive-minded beings who value conformity and think true happiness is achieved through the healthy suppresion of individuality. 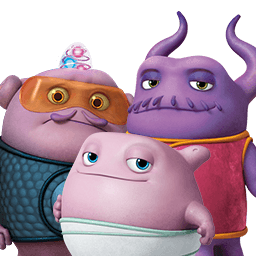 Other than the cult of personality surrounding (and encouraged by) their glorious leader Captain Smek, Boov don’t stand out from the crowd. Boov are the crowd. They don’t have families, or even understand the concept. Their hobbies include worshipping Captain Smek, believing in their moral and cultural superiority over all other beings, denying responsibility for mistakes, placing objects into appropriate containers, and the music of Philip Glass. They can change colors to indicate different emotional states, but would rather not.